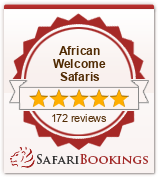 A friendly and warm South African greeting to you from all at Addo Elephant Back Safaris and Lodges. Our associated companies have a combined history going back more that twenty five years in the tourism industry and we are proud to introduce to you our latest holiday and leisure product. Bordering the Greater Addo Elephant National Park, just a short distance from the Nelson Mandela Metropole, our fully-fenced game conservancy is both malaria-free and tourist friendly. Whether it’s a laid back rest you need or an action-packed, 5-star activity holiday; we will not disappoint. The Forest Lodges are perfectly designed to blend discreetly into their surrounding valley bushveld environment. The private and exclusive suites, some nestled in the Yellowwood forest and others set on the hillside offering extraordinary views, are housed on elevated wooden decks. All meals can be enjoyed at our open-sided dining area which incorporates a bar area, overlooking the elephants’ much used waterhole. Our environmentally friendly lodges are constructed of part canvas, part recycled Brazilian pine and luxuriously decorated to evoke Hemingway’s Africa of yesteryear. We invite you to relax in our remarkably spacious, sophisticated suites set against the tranquil backdrop of the African bush. We offer you the exhilarating experience of riding these magnificent animals – revel in the natural beauty of the environs and its wildlife from your lofty seat as these gentle giants amble through the African bush. After the ride, walk with them through the diverse valley bushveld, ravine and forest habitat then at the conclusion of the walk enjoy a close-up view of the elephants swimming and frolicking in their favoured waterhole from the viewing deck at the boma – no guarantee that you won’t get sprayed with a trunkful of water!